2018 was a pretty good year for non-blockbuster games: Hollow Knight made our Game of the Year list, while other gems like Dead Cells and Celeste also released. We’ve already taken a look at last year’s more underrated releases, so now it’s time to look ahead to 2019 and unveil next year’s possible diamonds in the rough. No pretentiousness, we promise. 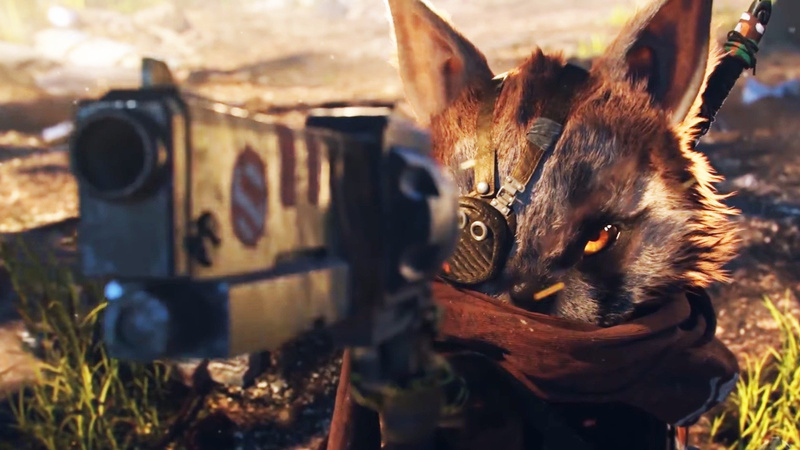 Created by some former Avalanche Studios developers, Biomutant looks to fill the mid-budget game gap in the PS4 market that has existed for too long. Based on an open world of decay and disease, the game sees you mutating and modifying your custom character to become a better fighter – though the trailers also show mechs and vehicles to pilot. One to watch. We all love a good atmospheric first-person horror game and Close to the Sun looks to be an interesting one. 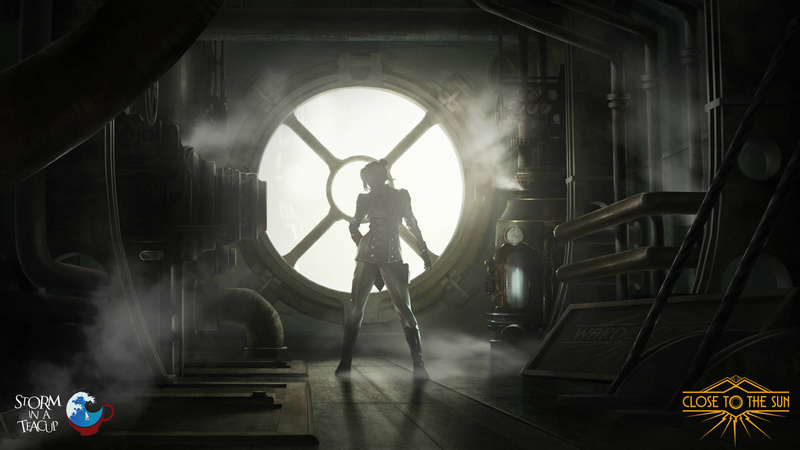 Set in an alternate 19th Century where Nikola Tesla has invented a massive ship to live on, you play as a journalist searching for her sister and finding out why everything is abandoned and creepy. It looks tense, despite the story and voice acting being a little campy, but it’s definitely an intriguing idea. 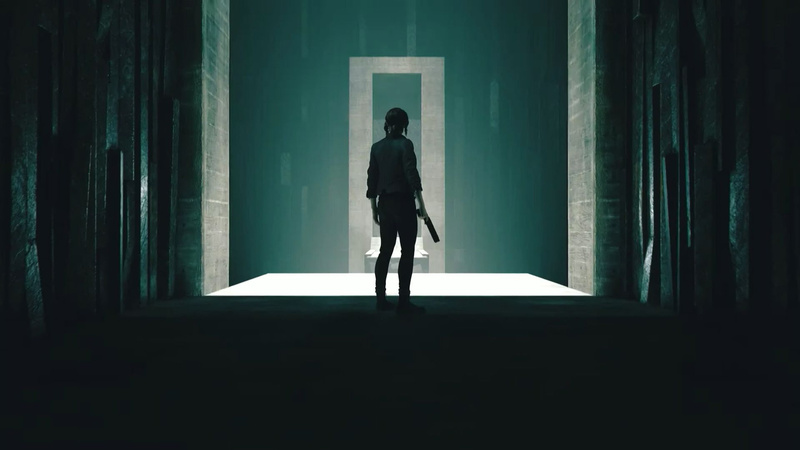 Remedy Entertainment’s first game on a Sony platform since Max Payne 2, Control is about Jesse Faden, the newly-appointed direction of a government agency dealing with the supernatural. The game’s setting in a surreal skyscraper is pretty cool, but the highlight here is Jesse’s supernatural powers, including psychokinesis and levitation. It might not be a trailblazer, but Control still looks like a fun superhero-style title. 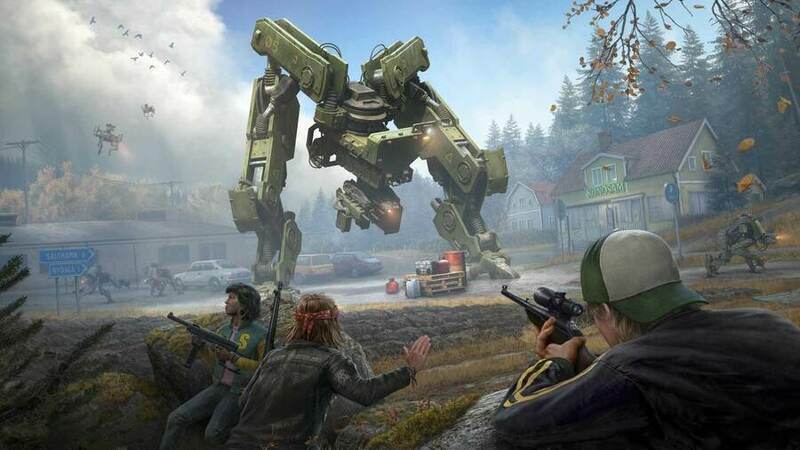 A four-player co-op first-person shooter, Generation Zero sees you taking down rampant robots as you try to survive in an idyllic Swedish village in the 1980s. Some might call it a Horizon: Zero Dawn copycat, but Avalanche Studios’ looks different enough to be worth a try thanks to its first-person nature and cool cultural setting. The co-op seems to be the main selling point here, allowing you to work together with your buddies to take down hulking machines. 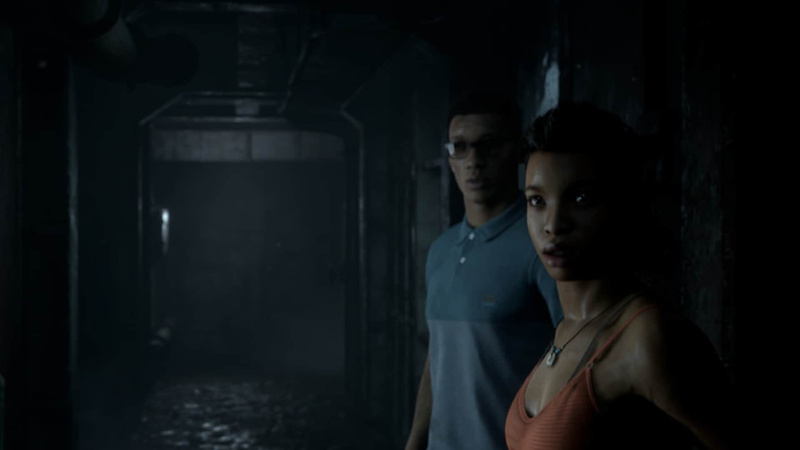 The first of Supermassive Games’ Dark Pictures Anthology, a set of spooky vignettes the developer has worked on after the success of Until Dawn, Man of Medan takes place on a drifting ghost ship in the South Pacific. That’s about all the information we have so far, but if it’s anything like Until Dawn, with an engaging storyline, spooky set-pieces, and impactful choices, then Man of Medan should be a winner. 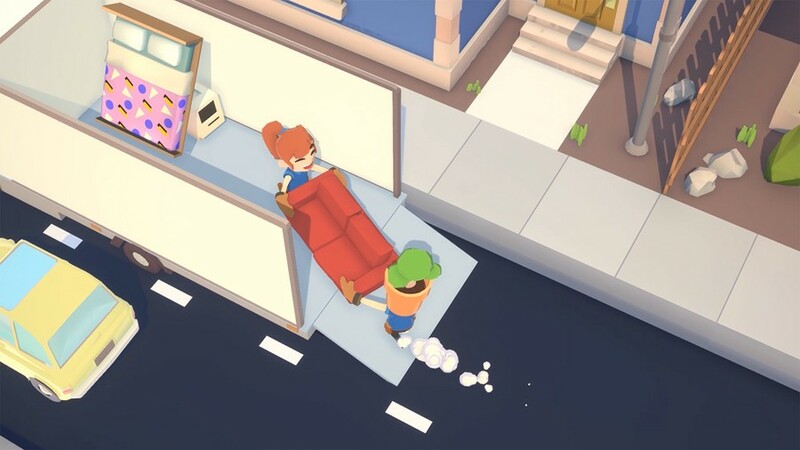 Yes, it looks very similar to Overcooked in terms of its visual style and level design, but it’d be cruel to call Moving Out a clone of the couch co-op classic. SMG Studios’ latest sees you operating a moving company, traversing outlandish landscapes in order to get your customers’ belongings "safely" into the moving van. With security cameras, busy roads, and broken piers to navigate (and that’s just what’s in the trailer) Moving Out should be a great party game to whip out when friends are round. It may look a tad edgy, but Rebel Galaxy: Outlaw looks to pull all the best bits from space games of the 90s and improve them. The universe looks beautifully grimy and slimy, while ship combat, the main draw of the game, looks no-nonsense but outlandish, with explosions everywhere. 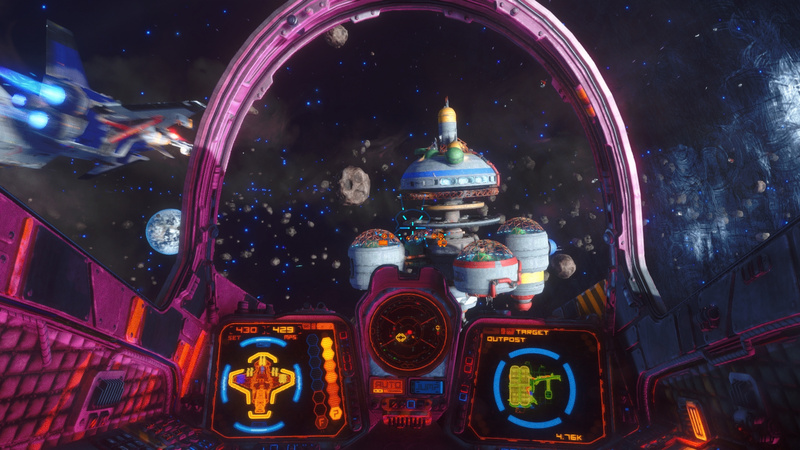 For those looking for a nostalgia trip, as well as those who want a new space-based experience, Rebel Galaxy: Outlaw looks a winner. Its cel-shaded visual style might be a bit ugly, but RICO looks like a thrilling and fun shooter that wears its buddy cop movie influences proudly on its sleeves. 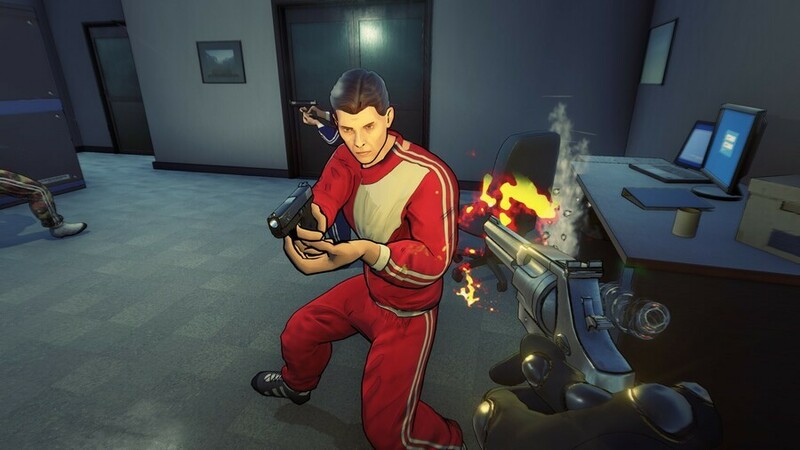 Playable in both single player and co-op, gameplay is based around breaching and clearing rooms full of bad guys, then reaping the rewards back at the station. The fact that every level is procedurally-generated should add plenty of replayability. 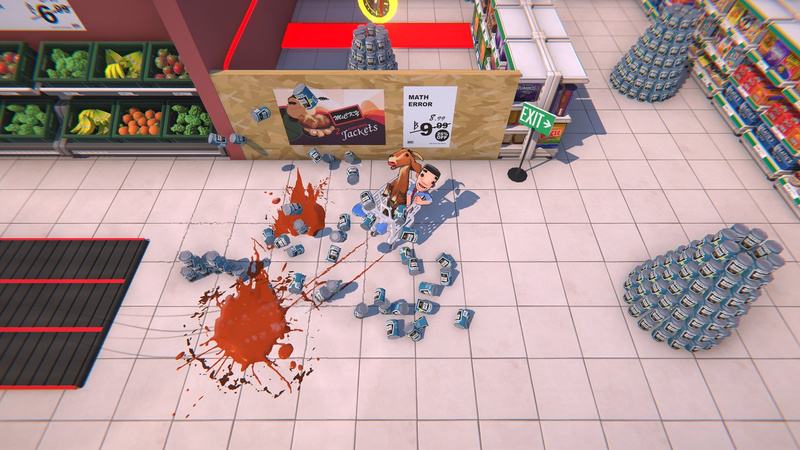 Though we’re not entirely sure if Supermarket Shriek is coming to PS4 – its press page only says it’s coming to ‘consoles’ – Billy Goat Entertainment’s title looks too fun to not talk about. A top-down shopping trolley racer, Supermarket Shriek is all about navigating your way through booby-trapped shops using the voices of the man and goat trapped inside said trolley to turn. The fact that you can use microphones to control them when playing co-op is a fantastic idea. It’s taken such a long time to come out that a lot of people have forgotten about it, but Vane still looks as good as ever. 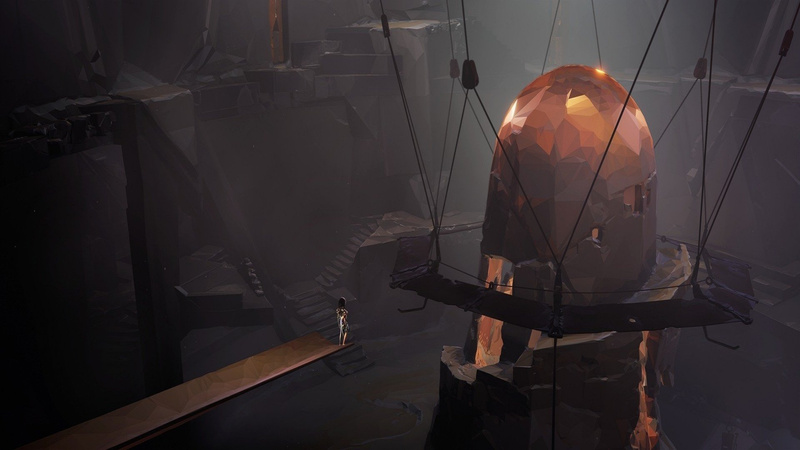 You’ll explore a barren, dead landscape from the perspectives of a bird and a boy, and while the other details are pretty vague, the fun seems to be finding out what the game’s weird world has in store. The beautiful visuals and overwhelming soundtrack should make it a cracking sensory experience. Are you looking forward to any of these games? Which other under-the-radar PS4 titles do you think deserve a bit more attention? Point a spotlight on something we haven't heard of in the comments section below. These ones look pretty fun. Don't forget to also include Everybody's Golf VR as one too. Something tells me that one will be forgotten about too...and I'm looking forward to it! @PushSquare what the hell happened to CodeVien? is it still coming in 2019 or is it cancelled? 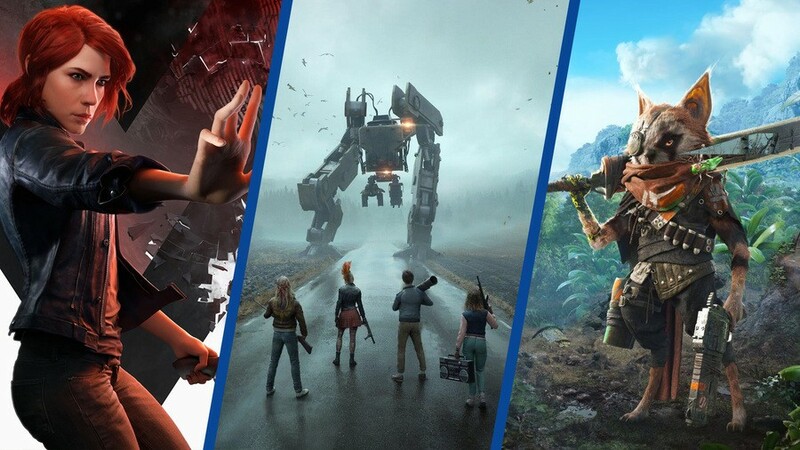 Looking forward to The Dark Pictures and Biomutant. @pimpjuice Still coming as far as I know. Vane is coming out tomorrow, right? Vane pre-order unlocking in 1d 7h 40s according to my PS4...should be good!! I forgot about The Dark Pictures Anthology: Man of Medan. It might be under the radar right now, though it's bound to get a lot more attention closer to release. I was a big fan of Until Dawn, so I'm looking forward to it. Pretty interested in Control because of Remedy and the Supermassive game. Not on the list, Dying Light 2 and Left Alive are both of interest to me. I'm intrigued by A Plague Tale: Innocence. I reckon it should be on this list. @doctommaso it’s probably not considered under the radar enough to make this list. Sony has added it to a lot of upcoming title sizzle reels. But probably like you, I have seen enough on this title and it really has me interested. Count me in for some more Rebel Galaxy! I've liked the look of Biomutant since I first saw it but the long periods of radio silence worry me slightly. @ApostateMage Is that the one with the rats because i loved that. @Flaming_Kaiser Aye, that's the one. Pillars of Eternity 2 on PS4 has fallen off many people’s radar after Microsoft acquired Obsidian last year. It has since been reconfirmed however and I am really looking forward to it after loving the first one. Here’s hoping it’s a decent port. Rebel Galaxy and Vane are both on my radar already. I would add: The Sinking City, Ancestors: The Humankind Odyssey, Babylon's Fall, Desperados 3, Dragon Quest Builders 2, Journey to the Savage Planet. Although I'm not sure they will all launch this year. There's also not as much hype for Dirt Rally 2 and One Piece: World Seeker as I expected. Can't say any of these are on my wanted list - a couple may well be on my wait and see list and the rest I couldn't care less about. I wouldn't say these are under my radar as some were never on it anyway. The games on my wait and see list were on my 'radar' anyway - just wouldn't make my list of 'most anticipated'. All smaller titles I am looking forward to this year. @shafedog247 Perhaps so, yeah, but most gamers I chat with have no idea what the game is. Glad you're also looking forward to it! Control is Day 1 for sure! Biomutant is interesting as well. Biomutant is one of my most anticipated games this year. I would also include Psychonauts 2 and Left Alive on the list. I love these articles about these more unknown games than I do about the constant mainstream AAA titles. Man of Medan as long as it's not too dingey and Moving Out looks fun. Rico reminds me of Timesplitters from the screenshot which is no bad thing! @playstation1995 I have Bio Mutant pre ordered, The Chargers had a good run , but had no chance today. I think the Rams or Patriots will win it, i don’t want the Patriots to win but I think they will. Control and Man of Medan were always day one for me. Someone mentioned Twin Mirror as well, which i think looks cool, made by dotnod. Also seen a preview of a game called Evolutis, looks so cool, blade runner esk. I thought control looked great from the beginning. Man of Medan will be a must play, too. The Occupation should be on this list! It’s only a few weeks away and I’m super excited! @playstation1995 It shall be interesting, we’ll see how it goes down my friend. @playstation1995 Let's create a fan club for Biomutant and spread the word about this great game. Been thinking about preordering Vane while it's still 20% off with Plus. As an Until Dawn fan, I'm looking forward to Man of Medan. Interested in Control, but hoping it's closer to Alan Wake in style than to Quantum Break, and whilst I don't want to get too excited about Biomutant yet, I would love to see good reviews for it on release as it sounds interesting. Will likely play Moving Out with my brother when he visits as we love Overcooked. Aside from the under the radar additions other have mentioned in the comments, I'll add Ace Attorney Trilogy, Trails of Cold Steel remasters, and Our World is Ended. Have to add Atomic Heart to this list. From the trailers the game looks fun as heck. Man of Medan is 100% essential for me, but other than that nothing for me here. Vane maybe? A Plague Tale Loss Of Innocence!! !